It isn’t easy to stand out as a small family dentist among the bigger chains of dental care clinics. However, there are ways to show up on people’s radar without investing big money in advertisements. It will take time and continuous track of progress to always improve, but once you are positively ranking on search result listings, your online visibility and traffic will increase tremendously. 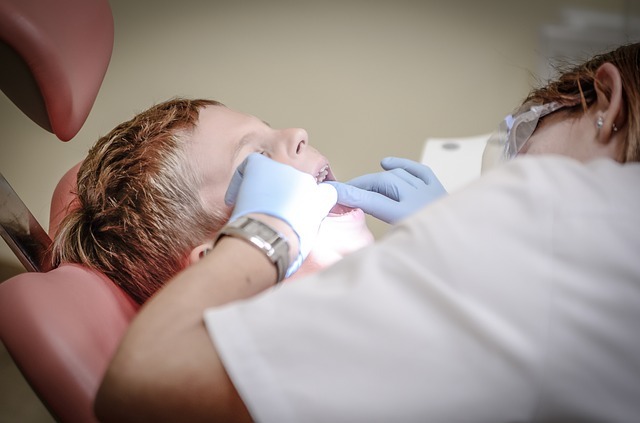 Here are some digital marketing tips for your family dental clinic. In this day and age, relying on foot traffic and traditional marketing efforts are not as effective and reliable. People search online for solutions and seek them nearby. Here’s how to appear in the top search results of search engine listing. SEO helps your business website and pages appear in the top listings of search results on search engines such as Google. There are many methods and continuous effort in this process. Methods include blogs, optimizing content such as the use of alt-text in images and media, external and internal linking, and creating good content. When search engine bots crawl through your website and other pages that share your content, you will receive a positive ranking for these efforts, boosting your ranking and putting you in the first position of family dental search results. Another method to SEO is optimizing your website for SEO. This means including unique keywords for your products and services, adding a sitemap, including a Google Map of your location, and customizing your website for mobile and tablet. Along with these, your website should be organized and engaging. Use a modern theme, include good information for your users, and separate your information into pages to make it easy to read and navigate. Make it engaging and user experience-focused! If your dental website is nice and clean, more users are willing to click-through your web pages, increasing your online traffic. Below is an example of a client’s in which provides a map of all 3 of their locations, information on all services, blog, and a link for patients to print out patient forms for convenience. Social media is widely used by all users from Facebook and Instagram to Twitter. Using social media for your family dental clinic requires good strategy and content management along with a unison voice across your posts that represents your business. You can choose to be professional, fun, or daring; whichever fits your dentist personality. This goes with the content you share on social media as well. Your content should appeal to users while representing your business model. As users relate to your content, the more they share, the more it also impacts your external linking in SEO. One rule you should follow in your social media marketing is the 80/20 rule. 80% of your posts should be relative to users while 20% should be marketing your products and services. Reviews are the most impactful for users across the internet. People like to see how it affects other users before they purchase it themselves. This is how influencers have become a worldwide sensation and changed the advertising and marketing game. Make sure to ask your customers to review you on Google, Facebook, Yelp, and other review platforms. You can provide these reviews on your website as well to give users a good insight to your business. People will see that you provide quality service and ensure them that you are the right dentist to go to. Reviews will help initiate users to come to your dental clinic for services and increase your sales. Small family dental clinics may not get much attention in the pool of thousands of other big chain dental clinics around it. 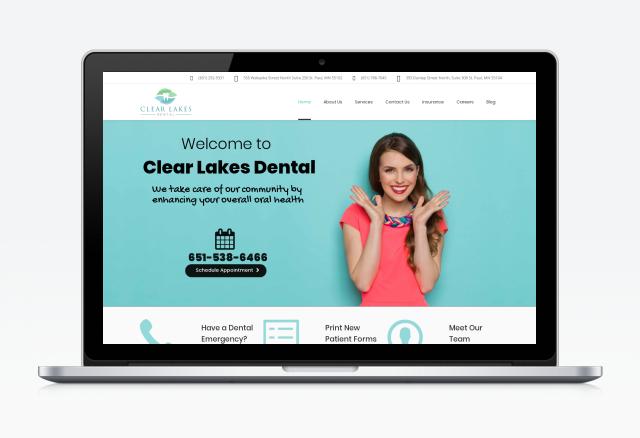 To stand out and be visible to users, your family dental clinic should engage in these digital marketing efforts to increase your online visibility and traffic. By investing in SEO, a good website, social media, and receiving good reviews, users will swarm to you as a dentist in Minneapolis MN. These digital marketing tips will help you appear in the top search results on Google and rank you in the first page! Dental Marketing Minneapolis MN | Call us today at 651.500.6289!